A flourishing real estate market not only produces a bumper crop of “for sale” signs, but also sparks a corresponding increase in disputes between buyers and sellers over property defects. While caveat emptor–let the buyer beware–no longer is the norm under Florida law, both buyers and sellers have obligations that must be met to avoid a dispute. 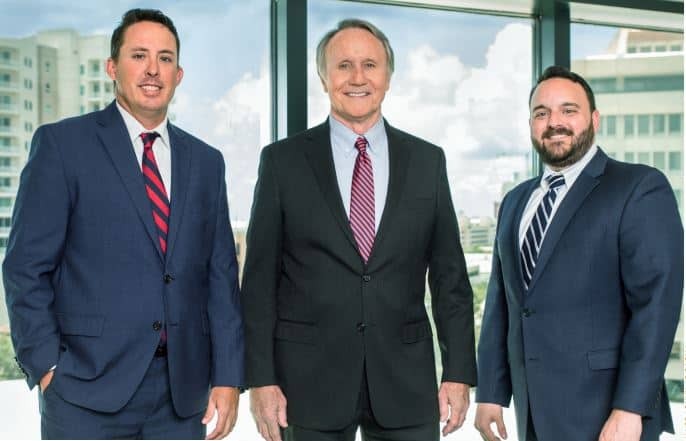 A landmark decision in 1986 by the Florida Supreme Court in Johnson versus Davis represented a change in sellers’ obligations and set requirements in cases where buyers claim sellers did not disclose known defects. “Johnson versus Davis placed an affirmative duty on the seller to disclose issues that were not expected previously. Before that, it was caveat emptor,” said attorney Phil Hammersley, a shareholder of Norton, Hammersley, Lopez and Skokos (941.954.4691/nhlslaw.com), a Sarasota law firm concentrating in business, tax, real estate, trial practice, and dispute resolution. Nondisclosure claims also must demonstrate that the defects were not readily observable and that the buyer was unaware of them. “One buyer purchased a home on stilts and then filed a claim against the seller for not disclosing flooding during the rainy season,” Maginness said. “The court said it is no secret that it rains heavily in Florida at certain times of year and that the local regulations required the home to be built on stilts. A buyer must take reasonable steps to ascertain the material facts relating to the property and to discover them if they are reason- ably ascertainable. The court ruled against the buyer in that case.” Misrepresentations and omissions may not be actionable where the exercise of ordinary diligence might have discovered the truth. Buyers often rely on home inspectors to uncover major defects, but do so without delving into the limits of what home inspectors’ contracts say they will do and the recourse a homeowner has if the inspector misses a major issue. Home inspectors’ contracts often contain limits of liability, which sometimes are limited to the cost of the inspection itself, and waivers of consequential damages. When hiring home inspectors, Norton Hammersley attorneys advise buyers find an inspector who is a licensed general contractor, ask what kind of inspection will be made, check references, and consider having a knowledgeable friend–preferably who is a contractor–accompany the inspector.